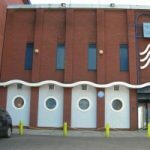 James Joseph Magennis was born on 27 October 1919 at 4 Majorca Street, Belfast. 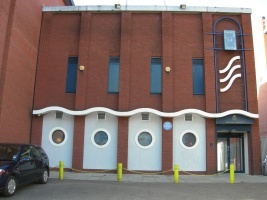 He attended St Finian’s School, Falls Road, Belfast until 1935, when he enlisted in the Royal Navy. He served on several warships before being posted to HMS Kandahar in October 1939. In May 1940 he saw action in the North Sea and later served in the Mediterranean. In December 1941, when his ship was sunk by a mine off Tripoli, he had to swim to safety. 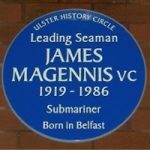 In December 1942 Magennis entered the Submarine Service and volunteered for special service in X-class ‘midget’ submarines, training as a diver. In September 1943 he took part in the first major use of the X-craft when two submarines penetrated Kaafjord, north Norway, and disabled the German battleship Tirpitz. For his part Magennis was mentioned in dispatches. The King has been graciously pleased to approve the award of the Victoria Cross for valour to Temporary Acting Leading Seaman James Joseph Magennis, D/KX144907. 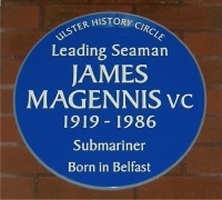 Leading Seaman Magennis served as diver in His Majesty’s Midget Submarine XE3 for her attack on 31 July 1945 on a Japanese cruiser of the Atago class. Because XE3 was tightly jammed under the target the diver’s hatch could not be fully opened, and Magennis had to squeeze himself through the narrow space available. He experienced great difficulty in placing the limpets on the bottom of the cruiser owing both to the foul state of the cruisers bottom and to the prominent slope upon which the limpets would not hold. Before a limpet could be placed therefore Magennis had thoroughly to scrape the area clean of barnacles, and in order to secure the limpets he had to tie them in pairs by a line passing under the cruisers keel. This was very tiring work for a diver, and he was moreover handicapped by a steady leakage of oxygen which was ascending in bubbles to the surface. A lesser man would have been content to place a few limpets and then to return to the craft. Magennis, however, persisted until he had placed his full outfit before returning to the craft in an exhausted condition. Shortly after withdrawing Lt. Fraser endeavoured to jettison his limpet carriers, but one of these would not release itself and fall clear of the craft. Despite his exhaustion, his oxygen leak and the fact that there was every probability of his being sighted, Magennis at once volunteered to leave the craft and free the carrier rather than allow a less experienced diver to undertake the job. After seven minutes of nerve racking work he succeeded in releasing the mine carrier. Magennis displayed very great courage and devotion to duty and complete disregard for his own safety. Magennis’s award led to a period of great celebrity just after the war. He was given a civic reception in December 1945 and the £3000 proceeds of a public subscription. However, the Belfast city fathers refused to grant him the freedom of the city. In 1946 Magennis married Edna Skidmore. He left the navy in 1949 and returned to Belfast, where he found it hard to make a living and in 1952 sold his medal for £100. Magennis left Belfast after his son David, six, was killed by a trolley bus, settling in his wife Edna’s home town, Bradford, west Yorkshire in 1955. He died of cancer in 1986, aged 66.